This was the third annual Savannah Slamma contest, the first of which to include a freestyle contest, and took place on Friday 19th May 1989. The freestyle event took place away from the main event and was held in a car park in Savannah City Park. 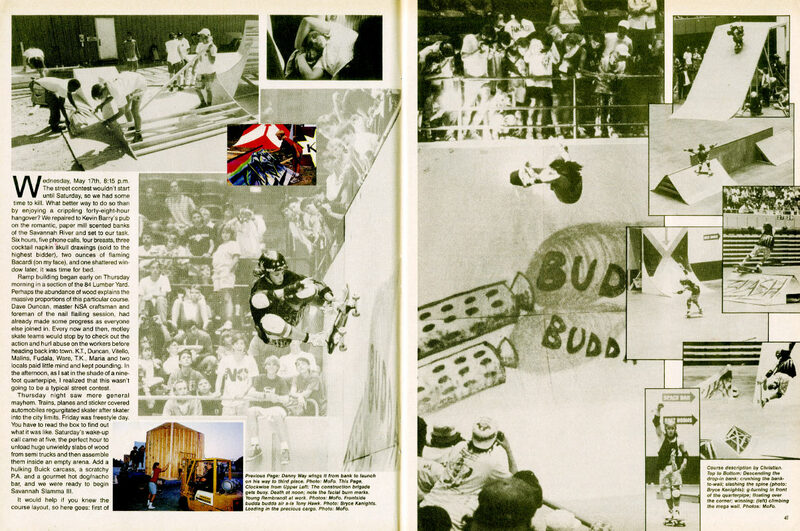 This was Joe Humeres and Darryl Grogan’s first pro contest. The riders were divided into two heats and given two runs with the top 5 progressing to the finals. 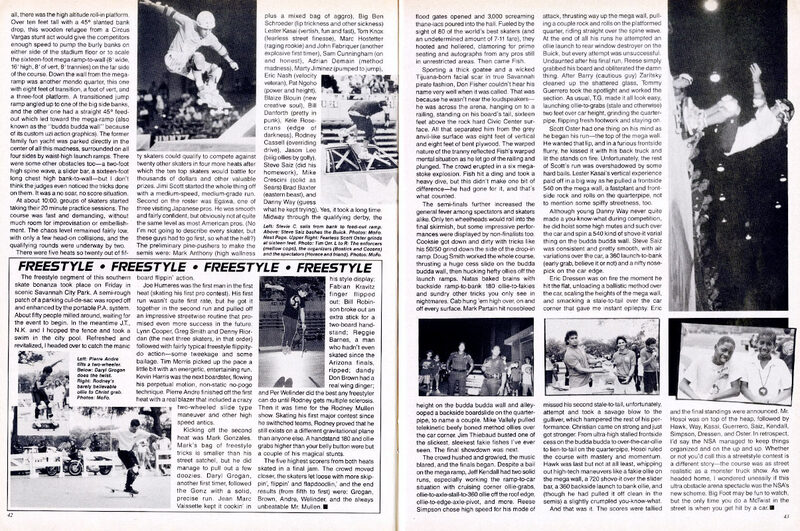 Lynn Cooper, Joe Humeres, Greg Smith, Denny Riorden, Tim Morris, Mark Gonzales, Fabian Kravetz, Bill Robinson amd Reggie Barnes also skated in this contest, but their placings are not known. Bruce Walker skated in a demo.